Xiu Xiu Meitu Photo Editor is an extraordinary photo editor software. 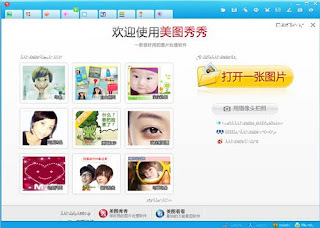 It only comes with Chinese language but easy to use without having to understand the language. It's easier than using other professional photo editors like photoshop but it can produce a professional edited photo with many photo adjustments and effects. Also, you are not must to have any professional photo editing skills like you need in photoshop. Semoga artikel ini bermanfaat bagi saudara. 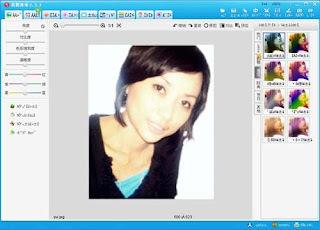 Jika ingin mengutip, baik itu sebagian atau keseluruhan dari isi artikel ini harap menyertakan link dofollow ke http://gadget-windows-7.blogspot.com/2013/05/download-xiu-xiu-meitu-photo-editor.html. Terima kasih sudah singgah membaca artikel ini.